Like jazz music? Like festivals? Like Scotland? Then the International Jazz Festival in Glasgow is perfect for you. Each year the jazz festival takes place from the end of June to early July. The headliners for 2010 were amazing, and 2011 will continue that tradition. Cleo Laine with Friend and special guest Jacqui Dankworth performed on the 29th, and after that SNJO with the Taiko drummers, Ramsey Lewis, and Michel Legrand had amazing gigls. The final day, jazz great Courtney Pine will enchant the audience. All this takes place in the great city of Glasgow, where amazing shops can be found next to intriguing and stylish bars and top-class museums, such as the renowned Kelvingrove Art Gallery and Musem and the Gallery of Modern Arts. If you’re not in the mood for a museum, you can enjoy the city’s impressive architecture while shopping for everything your heart desires, from unique designer outfits to mainstream brands. And why not enjoy the many culinary delights Glasgow has to offer? With the incredible diversity in restaurants, offering both world cuisine and Scottish specialties, there is something for everyone’s flavor. 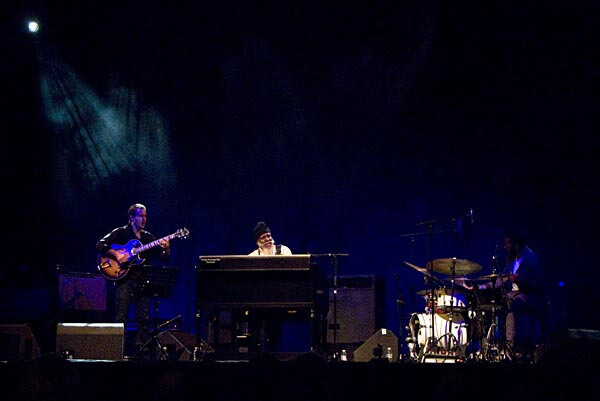 Combining the thrill of Glasgow with music brought to you by great names in the jazz world, the International Jazz Festival is sure to be an exciting, enjoyable and entertaining event. Exploring one of the most amazing Scottish cities while listening to quality jazz music is something almost anyone could enjoy. Last updated by Scott Richardson on 15 October, 2011 in Destinations. Have a fiery time at Up Helly Aa!